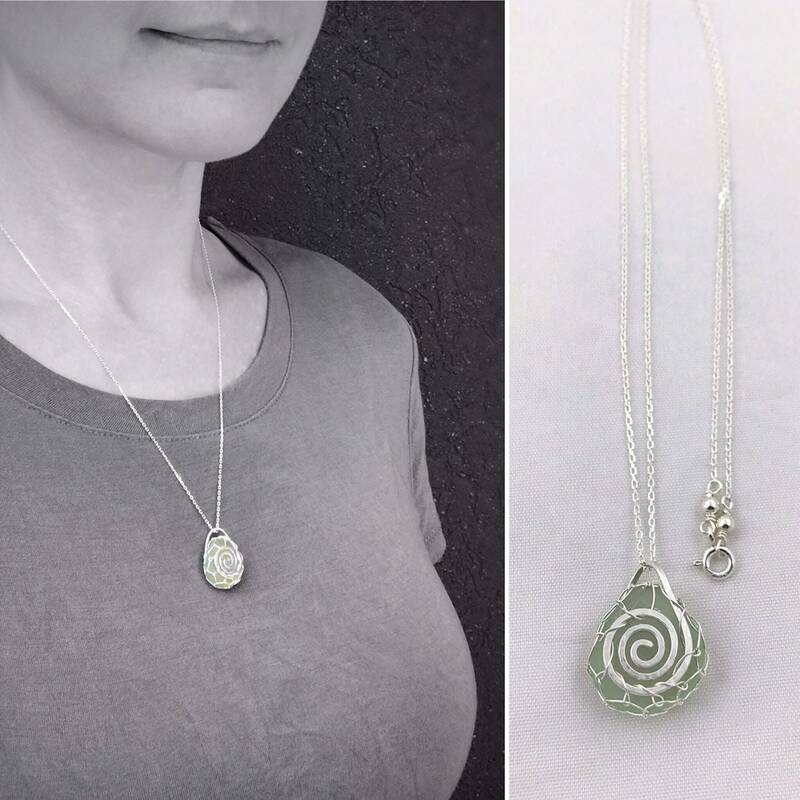 A luminous green piece of genuine sea glass, nested in a sterling silver double spiral woven wire design and dangling from a sterling silver diamond cut chain. 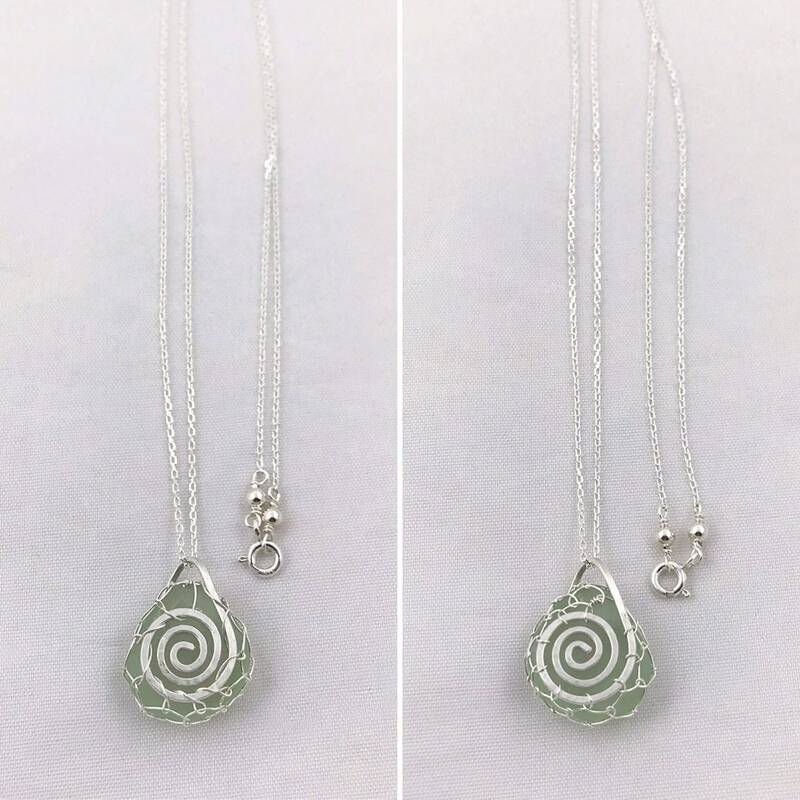 The design features a double spiral (front and back) of solid hammered sterling silver. 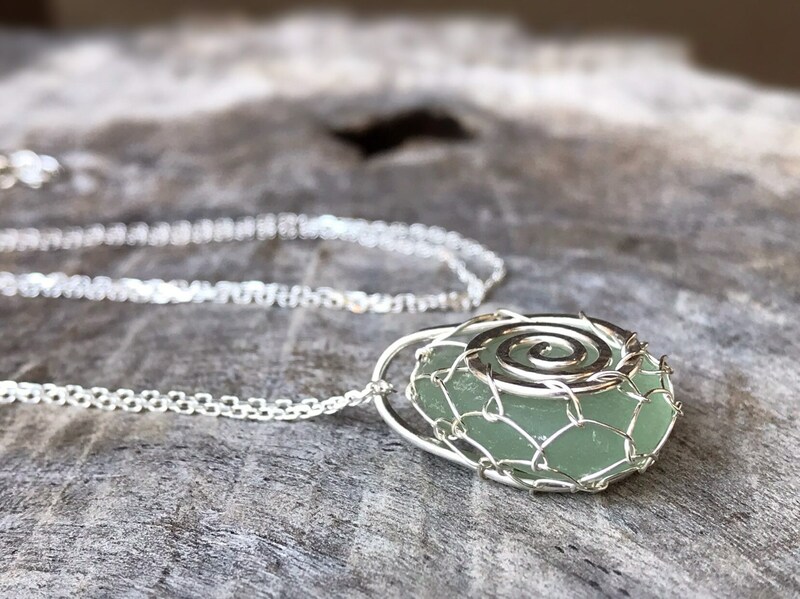 A hand woven sterling silver wire bezel nests the sea glass between the spirals and holds it securely. 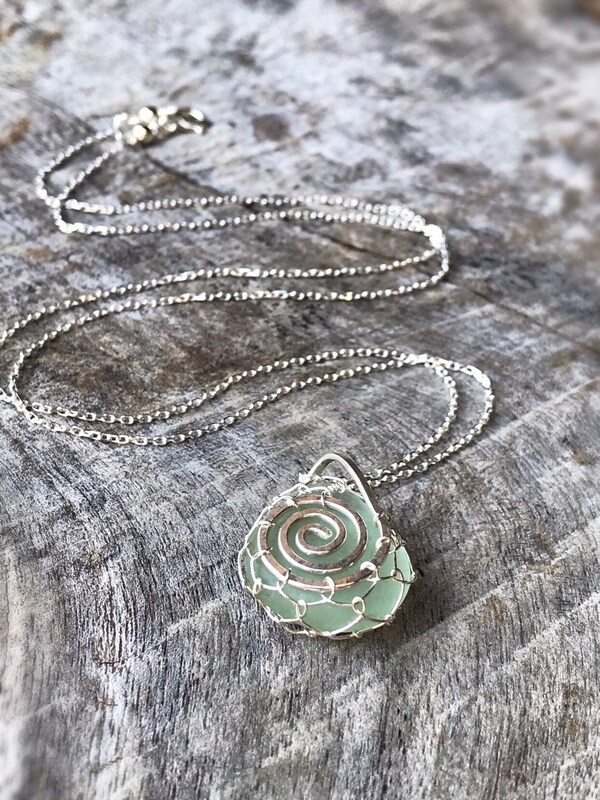 The design is tribal and rustic yet soft and feminine, centering around the spiral symbol and the beauty of the light that passes through the glass. 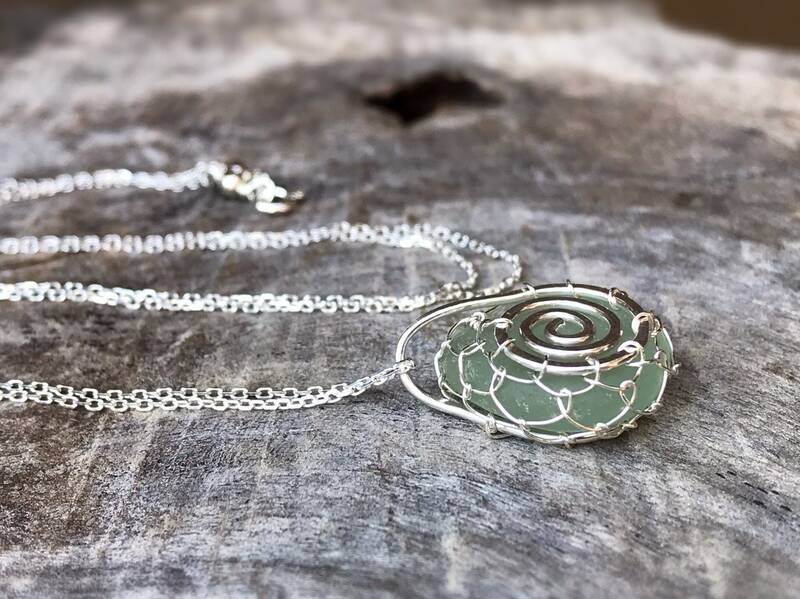 This necklace is one of a kind, you will receive the exact necklace shown in photos. 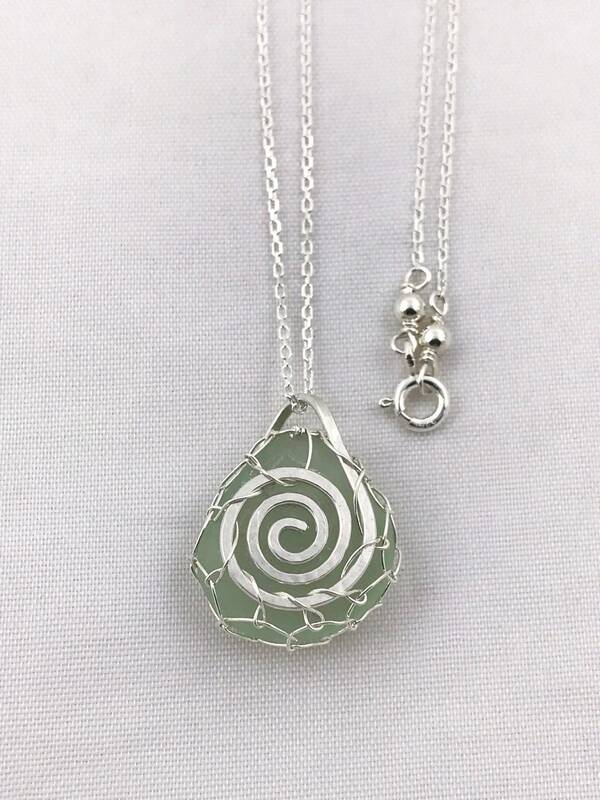 -Genuine (sea tumbled only) sea glass from the Pacific, soft pale green in color and translucent (light can pass through). 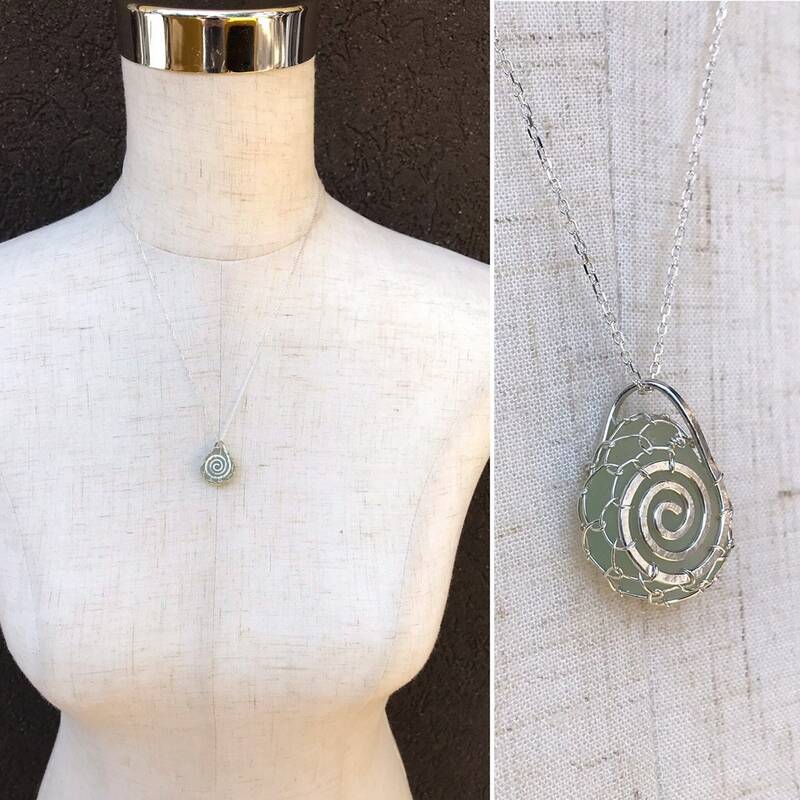 -Nested in a solid sterling silver setting, which features a hammered double spiral (one front side, one backside) and a hand woven wire bezel connecting the two spirals to hold the sea glass securely. 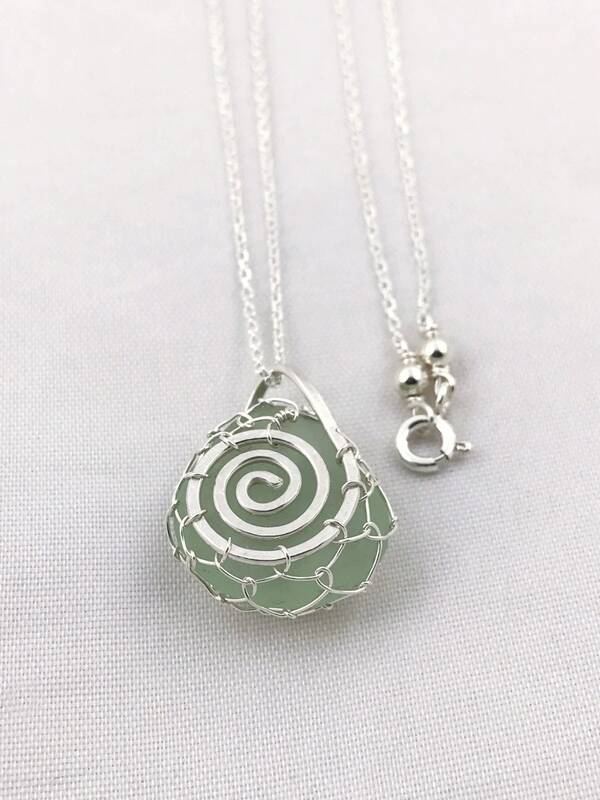 -Pendant measures 22mm (7/8") tall including top loop, 18mm (just under 3/4") wide, and 8mm deep. -Pendant dangles from a 20" solid sterling silver 1mm diamond cut chain with small spring ring clasp. It sparkles and catches light beautifully. -If you would like an alternate chain length or clasp, please message me for available options. 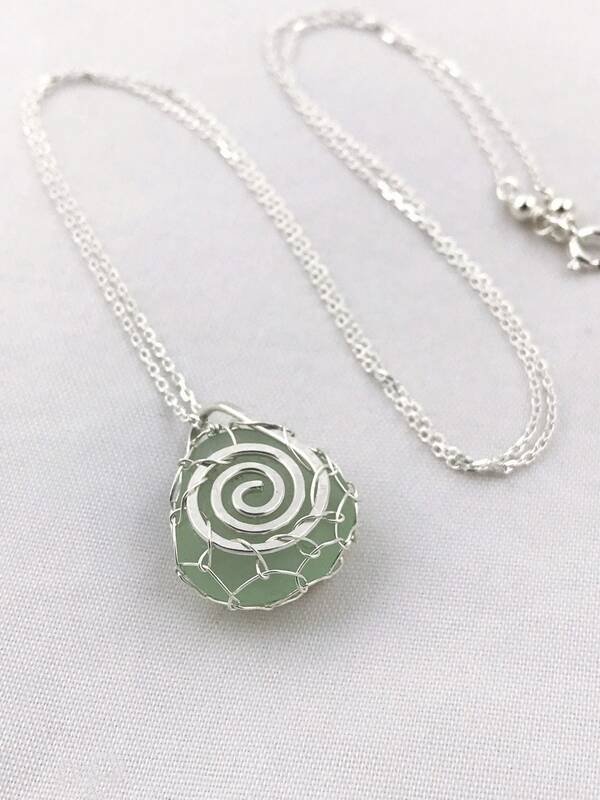 This is genuine, sea tumbled only, antique recycled glass that has been tumbled in the Pacific for approximately 70 to 100 years. 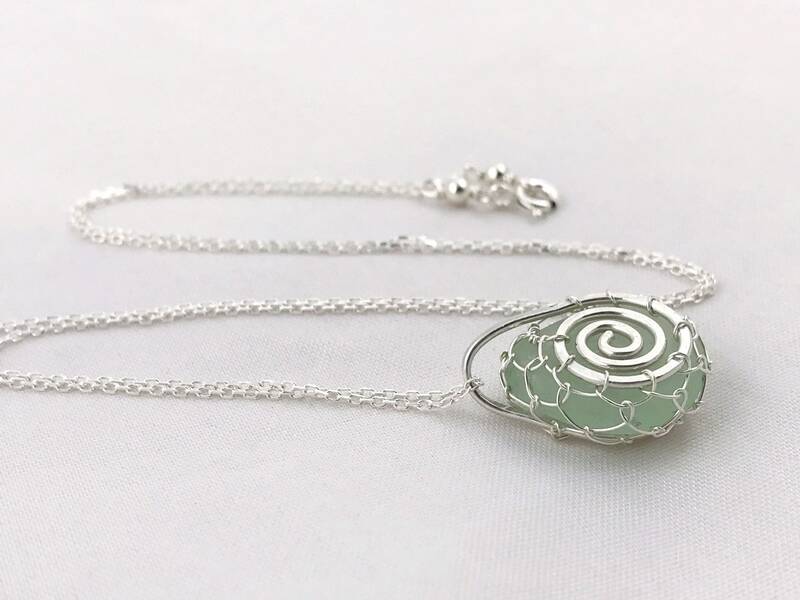 It was purchased from a supplier that hand gathers it and guarantees it's authenticity.